Finding an authentic, good looking Santa in the city can be hard to find. 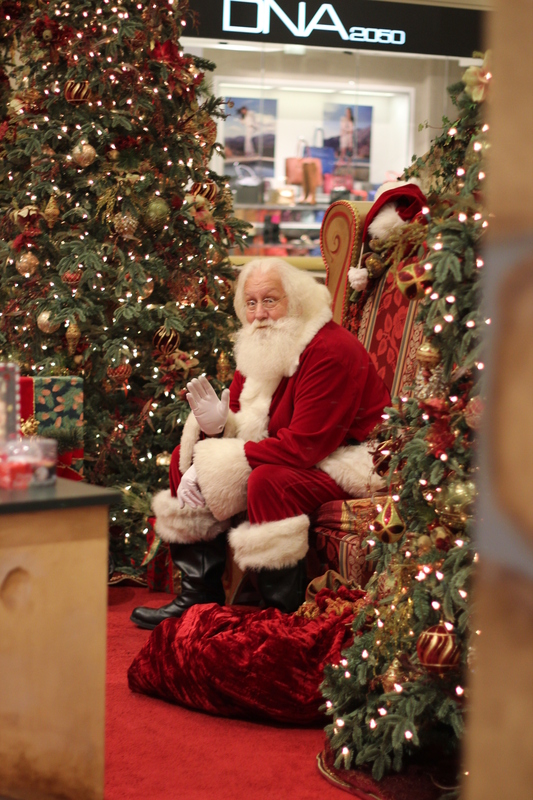 But I think we found the best looking…and very patient Santa at 900 North Michigan. We went on a Tuesday afternoon (after Thanksgiving). The line for photos with Santa was minimal….compared to last year when we went on a Saturday afternoon and had to wait in line for an hour. Besides Santa’s good looks, there are so many reasons why we like taking photos with Santa at 900 North Michigan. First off, they let you take your own photos, meaning you can bring your own camera or use your smart phone to snap as many photos as you like. Secondly, you are not obligated to buy the photos that are taken by the professionals and there is no pressure to buy their photos either. Finally, Santa gives each child a small gift. Luke got a cute stuffed animal. As you can tell by the pictures, Luke was not very happy to be sitting on Santa’s lap but we made the most of it. Santa even helped by making “fart” sounds for Luke, but that didn’t work. I used my 50 mm lens to take pictures. The lighting was pretty good but my composition needs improvement. 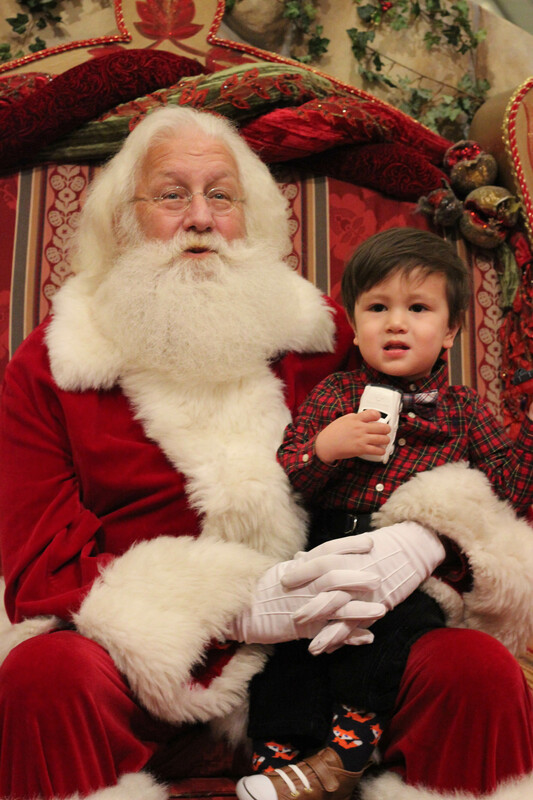 Overall, I am happy Luke got to take a picture with this Santa. Below is the entrance to see Santa…and a peek into what Luke was about to see. Good bye, Santa. Until next year…. 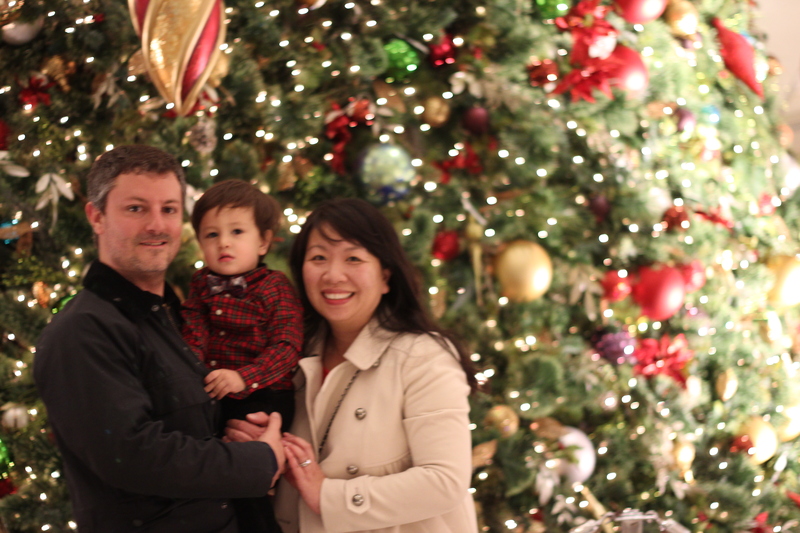 Afterwards, we took a few photos of the massive Christmas Tree in the mall. A nice lady was kind enough to offer to take a picture of us. I think she did a good job, considering she didn’t know how to use a DSLR. A bit out of focus but artsy looking nonetheless.